This Swagbucks review discusses whether using Swagbucks is a reliable way to make a bit of spare cash. With a TrustPilot score of 8.3 out of 10 (at the time of the writing), it seemed worthy of a detailed exploration. How Do I Earn SBs? What Else Can I Do Increase Swagbucks Earnings? 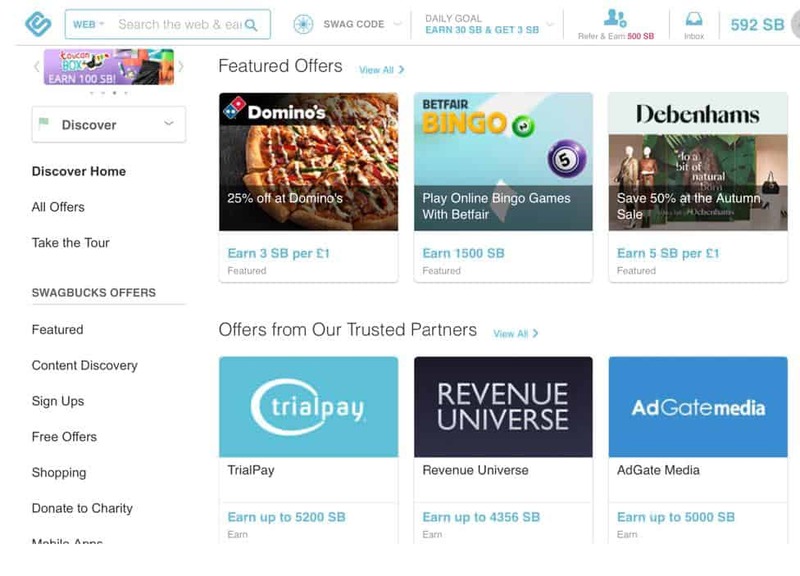 Swagbucks Review Conclusion: Is Swagbucks Worth a Shot? You can find Swagbucks here, or find other interesting side gig opportunities here. Swagbucks is an online rewards program that’s free to join. It’s accessible in the USA, UK, Australia, Ireland, Canada, Germany, France and India. The platform has paid out over $176 Million in rewards since its inception. You earn SBs (Swagbucks) in a variety of different ways; You can exchange them for rewards like retailer gift cards or PayPal credit. Essentially, 1 “SB” equates to one cent (or pence). However, this is only if you hold out for the higher redeemable rewards. You can use Swagbucks on desktop, smartphone and tablet, and there are plenty of associated apps which support the quest for SBs. The signup process is very simple. You can register using your email address or link to your Facebook profile. Once you have signed up, you then get access to the Swagbucks homepage, which is easy to navigate and shows where you can start earning your SBs. You can earn your first SBs by verifying your email address, and by completing a quick survey. Both of these tasks give you 5SBs each. My first experience of the website seemed to suggest that there were many different ways to earn SBs! By using the “Shop” tab, you can access all the cashback offers. 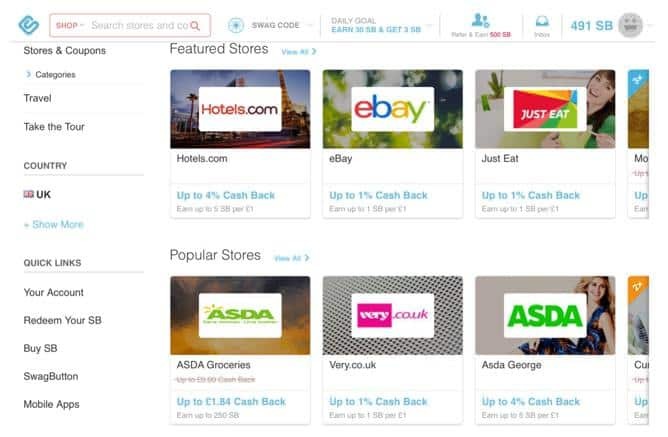 Like other cashback websites, you can look for sites offering cashback using the search tab, or browse through the menus. The idea is that if you are going to buy something anyway, you may as well click through from here and earn cashback on your purchase. The SB reward isn’t particularly great here, but if you don’t already use a cashback site it is a way to grow your Swagbucks account for very little effort. 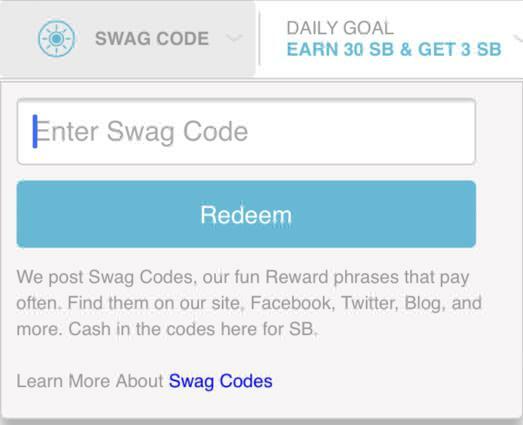 Another way of gaining SBs for cashback is by installing the “SWAGBUTTON.” Just doing this will earn you 50SBs. The button automatically notifies you when a website you are on can give you cashback. The downside is that it’s only available on desktop, and not on smartphones or tablets. Opening the “Watch” tab takes you to a video streaming section of the website. I tested this on my smartphone and tablet (iOS) but found it only seems to work on a computer browser. You earn SBs by watching a list of videos. Cynics would perhaps suggest that you could mute your computer, get on with something else, and check back regularly to play the next video until you have played through the playlist. However, I suspect this isn’t what you’re supposed to do! This isn’t a big earner, but if you’re doing other things on your computer it is a way to slowly get closer to a redeemable reward. 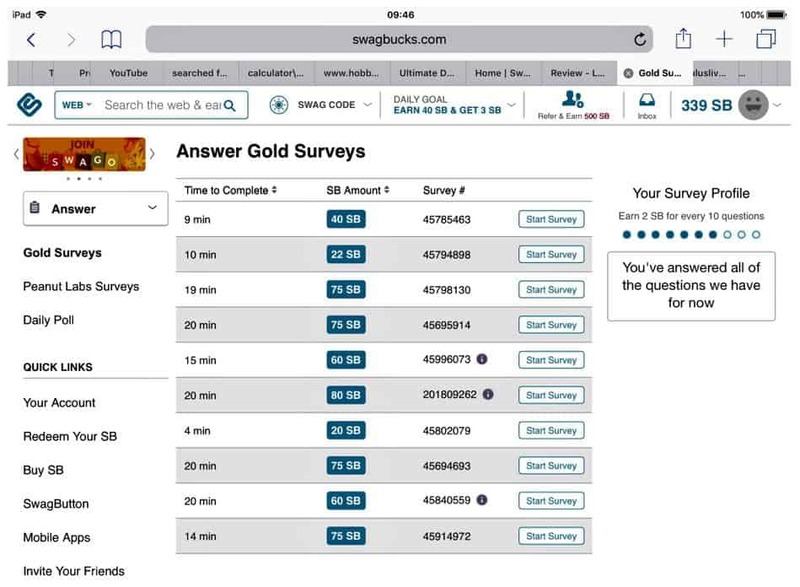 Clicking the “Answer” tab takes you to the “Gold” Surveys. Here you have a range of surveys available for you to complete. The list shows you an estimated time to complete each survey, and the number of SBs you will earn. There’s no real consistency with how many SBs you get based on the length of the survey. This means some do seem more worthwhile than others. The surveys don’t seem to hang around for long as the quota of people required is often quickly fulfilled. Once you click “Start Survey,” you are taken through some preliminary questions to qualify. As with many survey sites, you will probably find yourself “screened out” on plenty of occasions because they are looking for specific demographics for each survey. However, there is normally another survey waiting straight away. A small consolation is that most surveys still reward you with 1-2SBs if you aren’t allowed to take part. Perseverance is the key here and it does pay off the more surveys you try to complete. You also receive requests for surveys straight to your email inbox. Next on the “Answer” tab is Peanut Labs. Using Peanut Labs is another way to access more surveys. These are only available on desktop and laptop, and not on mobile devices. To get up and running with Peanut Labs, you just have to complete a few demographic questions. Much like the “Gold” surveys, the length and reward for each survey varies. It’s worth noting that Peanut Labs’ online reputation is notably poor, so you may wish to read up on them before getting involved in this part of Swagbucks. As well as surveys, there are additional offers that you can click through to earn SBs. Most of these require you to sign up for an additional service or website, and tell you how long it will take for the reward to be given to you. You can also answer the “Daily Poll” which takes seconds to do and earns you 1SB each day. Finally, you can complete “Tasks” through a desktop browser. You carry these out by creating a Figure Eight (formerly Crowd Flower) account and can then earn SBs by doing a variety of different tasks online. Each task you select takes you through to the Figure Eight website where you sign in and complete a quiz to check your accuracy. If you are successful, you are then able to complete a task. In my opinion, the reward for most of these tasks seems poor for the time taken. I have yet to complete a quiz to the accuracy required. These tasks are not for me personally and so I’ve not completed any as part of this Swagbucks review. However, some people may find them enjoyable and lucrative. Figure Eight has mixed reviews online. By accessing the “Discover” tab you see a multitude of ways to earn SBs. This is a rather large area of Swagbucks to explore, so it is worthwhile having a good look to see what takes your fancy. For example, you can access offers to sign up and deposit money to a variety of different gambling sites. There are also plenty of partner survey sites to click through to, and free offers for things that don’t cost you anything at all to enter. If you do end up signing up for services, it’s wise to keep a calendar of dates, so you know when to cancel a service if applicable. My advice with using this section is to make sure you read the terms and conditions thoroughly before signing up for anything. If you are unsure just don’t do it. 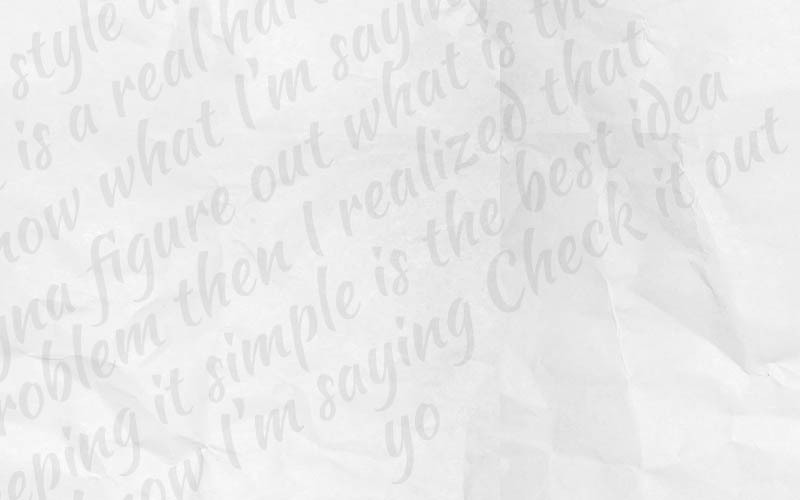 You almost always have to be a completely new customer, and Swagbucks tells you how long it will take for your reward to show as cleared on your account. 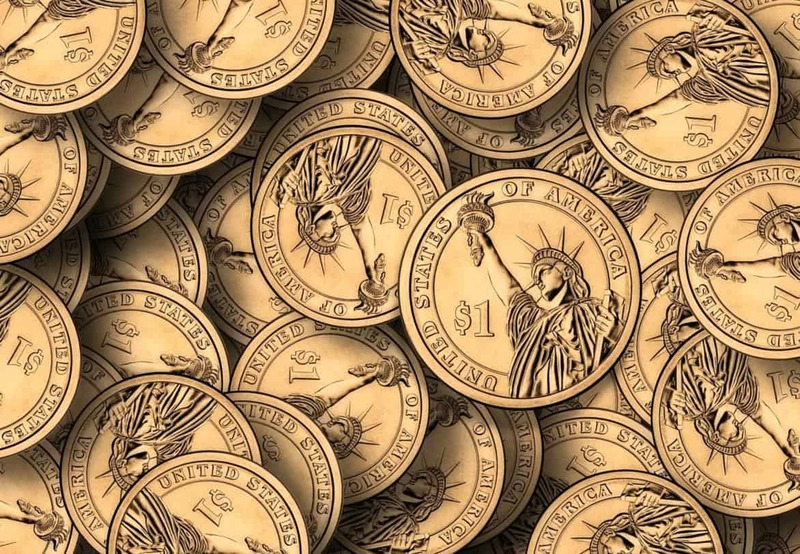 Lots of offers stay pending for at least seven days, with some for as long as 32 days; It’s also not normally as simple as just depositing money on a gambling site. For example, you would typically also have to play through your deposit to be eligible. I have tested one of these offers so far and received 3000SBs for just a £10 deposit on a bingo site. I did have issues receiving the reward, but I contacted the customer service department who were very helpful and rectified the situation very quickly. My £10 investment was easily turned into over £20-worth of reward. By using the “Search” tab or the Search bar at the top of Swagbucks app, you can earn small rewards for using the site as a search engine. You’re not rewarded each time as it depends what you search for, but after only two searches I was rewarded with 5SBs. 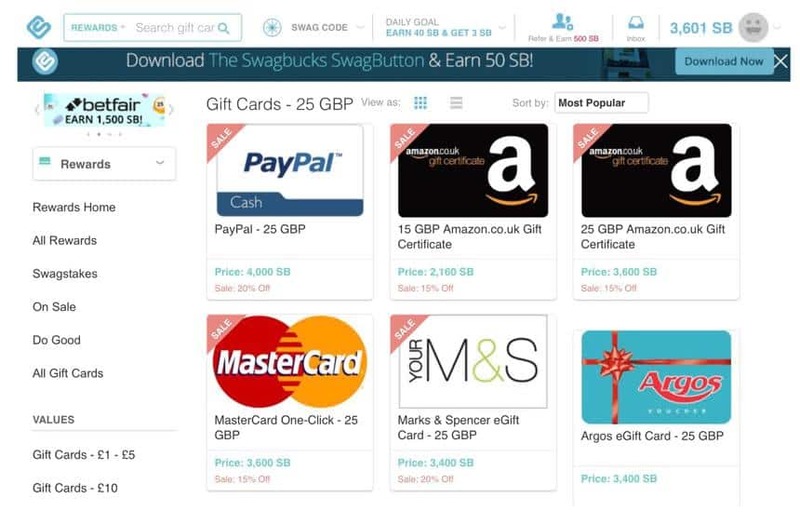 If you are on a computer, you make Swagbucks your default search engine, and easily earn extra SBs from your normal daily internet usage. On the “Play” tab, you have access to a few games that you can play to earn rewards. My experience of these wasn’t positive! During my Swagbucks review I didn’t manage to get the games to work on either my tablet or desktop. As very little reward is offered it does seem a waste of time when there are many other far more profitable ways to earn Swagbucks rewards. There are a few other ways to earn extra SBs along the way, most of which involve small tasks that don’t take you much time. As with many similar sites, there’s a worthwhile reward for referring your friends to the site. Every friend you refer that earns 300SBs also gets you a 300SB bonus. In addition, if they earn 200SB through shopping, you earn an extra 25SB. If you do this with lots of people, it really is a useful way to earn extra SBs. You can refer your friends directly by email or you can post a link on Facebook or Twitter for them to click through from. Each day, you are given a 30SB goal to achieve. If you manage it, you’re rewarded with three bonus SBs. Once you have achieved this, the reward threshold goes up in gradual steps to a maximum of 10 bonus SBs. It’s another way to earn small rewards just by completing other tasks on the website. By completing a daily goal each day, you can then complete “streaks” to earn more. The more days you complete, the better the rewards. By completing six items on a list and you can earn one to four SBs. If you complete eight, you get 10 SBs. These “gamification” features don’t offer great rewards for the effort, so I wouldn’t personally waste time on them. However, for some users, all those extra SBs add up. In the “Rewards” section, you find a list of retailers where you can cash our gift vouchers for as little as just 450SBs. 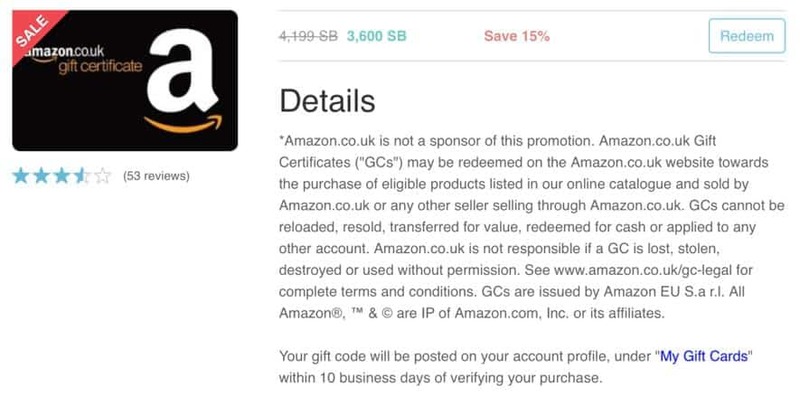 (Here in the UK, that gets you a £3 ($4) Amazon gift card). To get more from your Swagbucks total, it’s better to keep accumulating. The more you have, the better the reward value. You simply click through on the reward you want to purchase and press “Redeem.” The delivery process is different for each reward and can take up to 10 days, so it is worth checking the terms and conditions before choosing which voucher you want. I was pleasantly surprised to earn 3601SBs in four weeks. This equated to £25 ($33) worth of rewards from the likes of Amazon. The fact you can cash out smaller rewards is a big positive. This is a welcome change from many other survey sites that require you to build up large totals before redeeming any reward. Many users give up before reaching the cash-out stage on these sites. All I did to accumulate this total was complete surveys and daily polls, and use the “Discover” section to sign up to a bingo site (which I also happened to win some money on!) I appreciate it cost me a little of my own money to do this, but ultimately the offer was more than worth the reward. On iOS and Android, there are a few different apps to download where you can watch videos, play games and answer surveys to earn SBs. I’ve only managed to get the survey app to work in the UK. There is also “Swag IQ,” which is a quiz app. At 8pm Eastern Time each day (5pm Pacific time and 1am GMT), you get the chance to answer up to 10 timed questions. If you get them all correct, you can win the jackpot of $500. This is shared with all players who also answered all the questions correctly. 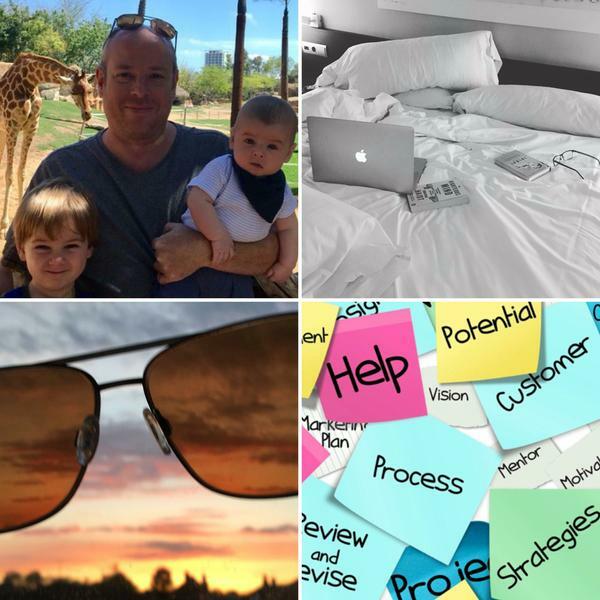 A positive Swagbucks review isn’t a difficult thing to find on TrustPilot – and I do understand why. I was a little daunted when I first looked on the website as there’s so much content. It is easy to get sucked into the search for SBs and get a bit lost, so it is worth noting down areas where you think you can earn and completing those first. Not every section is worth the time and effort, and you will quickly make your own mind up as to the best way to earn SBs. Is Swagbucks safe to use? Generally, it does seem to be, but Swagbucks is also linked to various third-party services and survey sites. 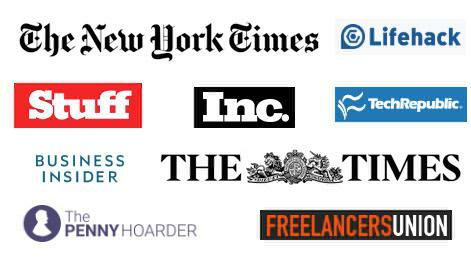 Some of these are more credible and trustworthy than others, so it’s important to cast a discerning eye over them. I do believe signing up to Swagbucks is a really worthwhile side gig, with the potential to earn you something every month. Is Swagbucks worth it? Well, like most such sites, you won’t be able to give up your day job. However, Swagbucks should earn you that little bit of extra pocket money (which all adds up once you sign up to several sites). There’s a good variety of different ways to earn rewards here without just completing surveys. I certainly intend to keep going, as it should put around £300 ($400) in my pocket each year. Swagbucks is not without its flaws, but there's decent side-gig earning potential here. Hannah is a stay at home mum to three children under seven. 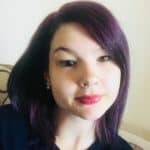 She loves finding ways to earn money from home and sharing reviews of the opportunities she has tested.